There’s good news for those who think school performance grades should be weighted more heavily in favor of student growth. A group of Senators has filed a bill that would require growth and student achievement to each account for 50 percent of a school’s performance grade. Senate Bill 319 is similar to House Bill 354, which would also give student achievement and growth equal weight. The primary sponsors of SB 319 are Senators Vickie Sawyer, (R-Iredell), Daniel Earl Britt, (R-Robeson) and Tom McInniss, (R-Anson). While having similar bills in the House and Senate is no guarantee the legislation will win approval, the odds are improved. Currently, proficiency or achievement accounts for 80 percent of a school’s performance score while growth makes up the other 20 percent. Educators argue that the achievement score should be weighted in favor of growth, how much a student learns from one year to the next, because growth more accurately reflects the level of teaching and learning that goes on in a school. Horn is co-chair of the House Education Committee. He made his remarks during a committee meeting this week. HB 354 was referred to the House Rules Committee, which will decide whether it receives a hearing before the full House membership. This is actually very bad news for anyone who cares about education. The “growth” metric used by the state is one based entirely on the EVAAS system developed by SAS and sold to states and districts as a supposed tool to measure growth. The problem is that it is not really what it is sold to be. The underlying algorithms used in EVAAS were originally developed to predict the outcomes of genetic crosses in cattle and then adapted to the use they have now. 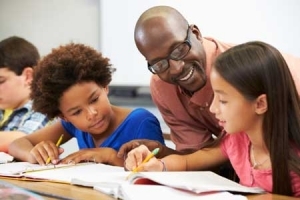 The American Statistical Association reviewed EVAAS and concluded that it is a statistically invalid measure of growth and should not be used to evaluate teachers, school, or students. Then there’s the problem that the “growth” that is supposed to be measured is itself not a valid comparison from year to year. The whole exercise is a sounds-good attempt by (mostly Republican) politicians to prove that they care about public education while what they really want to do is undermine all confidence in it and turn it over to private enterprise.